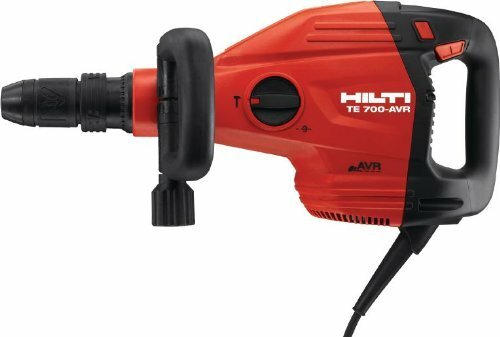 This hilti 3484793 product is a TE 700-avr performance package (fixed). this product has an innovative brushless SR motor which eliminates the need to change carbon brushes and extends the period between repairs. Further, the power reduction button is for improved performance in brittle base materials. Also, the optimized electro-pneumatic hammering mechanism and innovative SR motor for powerful breaking performance. In addition, the constant on switch for easy sustained operation during long periods of use. Finally, the side handle has a full radial and axial adjustments for a secure grip in virtually any position. Buy Hilti 3484793 TE 700-AVR Demolition Hammer Performance Package at Discounted Prices ✓ FREE DELIVERY possible on eligible purchases.